��.We wanted traffic to and from this commercial node to be able to access businesses without having to get on and off GA 316 or the Epps Bridge Parkway. It was Oconee�s attempt to avoid the �Mall Mess� on Highway 78 in Athens-Clarke County�. With the approaching opening of the Oconee Connector Bridge over the Athens Loop, I have mixed emotions. 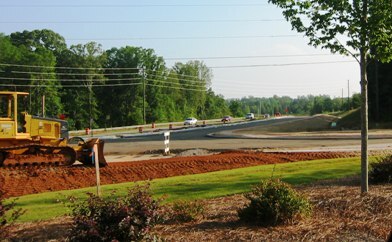 I was involved in the initial concept and the approval of the project by GA DOT. However, it was intended to be built after the Mars Hill Road Parkway so it would feed into a four-lane system. Economic Development was a consideration but traffic flow was the real incentive. We wanted traffic to and from this commercial node to be able to access businesses without having to get on and off GA 316 or the Epps Bridge Parkway. It was Oconee’s attempt to avoid the ‘Mall Mess’ on Highway 78 in Athens-Clarke County.It also involved a Jennings Mill Parkway to Atlanta Highway to help with the traffic flow at Athens Loop. Plans change. Athens-Clarke did not follow through on its end of the Jennings Mill Parkway.Oconee proceeded to move the Oconee Connector project ahead of the Mars Hill widening project. To some, it was the proverbial act of, ‘…getting the cart before the horse”. 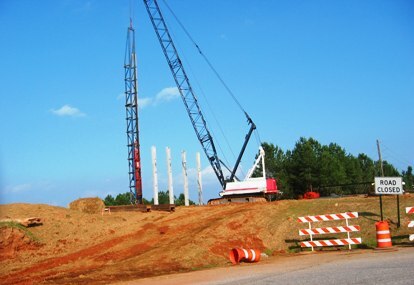 With the economic slowdown, the Oconee Connector project seems inconsistent with funding priorities in transportation. The Mars Hill Parkway would make more sense to most people. The Oconee Connector will open the old Varsity Property and some other smaller tracts for commercial purposes but it may be a while before it is the revenue producer that some Oconee Officials seem to expect. Oconee and Athens has a lot of vacant commercial property –including shopping centers. If it does bring a Pennys, Belks or Sears, it will leave vacant buildings somewhere and bring the traffic jams into Oconee County.It may be rushing things. After all, we have not yet filled all our commercial buildings in Oconee County. It has been encouraging that the county now seems to be pursuing the Mars Hill Project more aggressively; delay has resulted in much more Right of Way expense. It will be a while before it helps traffic flow.This project should have been far enough along in plans to have qualified for some of the Federal Stimulus money. ….contingent of officers will start pacing traffic Monday on the Athens Perimeter north of the Epps Bridge Parkway exit so a state Department of Transportation contractor can install the large concrete cross beams for an overpass that is part of the Oconee Connector extension. …………..Beshara said. "We're going to be putting the beams in place on an overpass that's part of the Oconee Connector project, over the (Georgia Highway) 10 Loop. We plan to start Monday, but of course that depends totally on the weather." It will take workers about three days to get the beams in place, and traffic will be paced the entire time, he said. Work crews will try to avoid pacing during rush hours. Public works and the DOT have been working for years to extend the Oconee Connector north of Ga. 316, over the perimeter and into the heart of the county's commercial hub on Epps Bridge Parkway. The new road is expected to open up large tracts of land for development. Both of these projects were approved by DOT Commissioner Wayne Shackelford in the late 90’s while I was Chairman and our Representative was Frank Stancil and our Senator was Paul Broun. Both of those gentlemen had tremendous influence and accompanied me on numerous occasions to the GA DOT. They, along with DOT Board Member Steve Reynolds, helped us with the award of those projects.